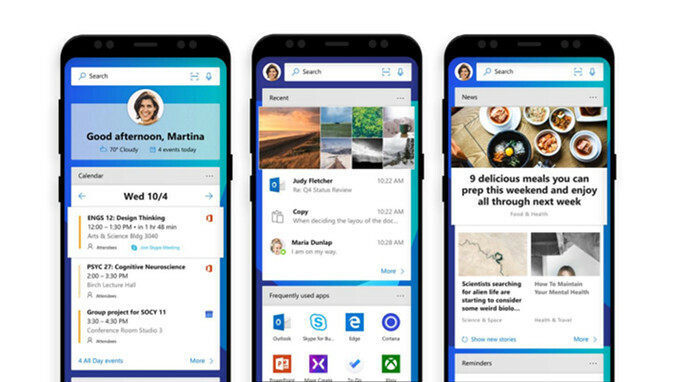 Microsoft's Launcher app is about to get a couple of important new features, but if you're using the beta version, you can already try them out. As the title says, Microsoft is bringing Cortana integration to Launcher, so you'll now be able to use the personal digital assistant to make calls, schedule meetings or change wallpapers. Aside from Cortana integration, the developers also added support for Arabic/RTL languages. A new option that will allow users to share the Launcher via NFC (Near Field Communication) or QR code has been added too. Pin searched app/contact to home screen. Don't forget that all these new features and improvements haven't been released in the Google Play Store yet, so you'll have to wait a bit if you don't use the beta version. The only one can replace Nova launcher. It's not just a launcher. It's almost a bloody OS! I loved it before but now... I think we both are 'soul mates'! Wish Microsoft launch an Android Handset. Would love to see their take on Android! G'Day!